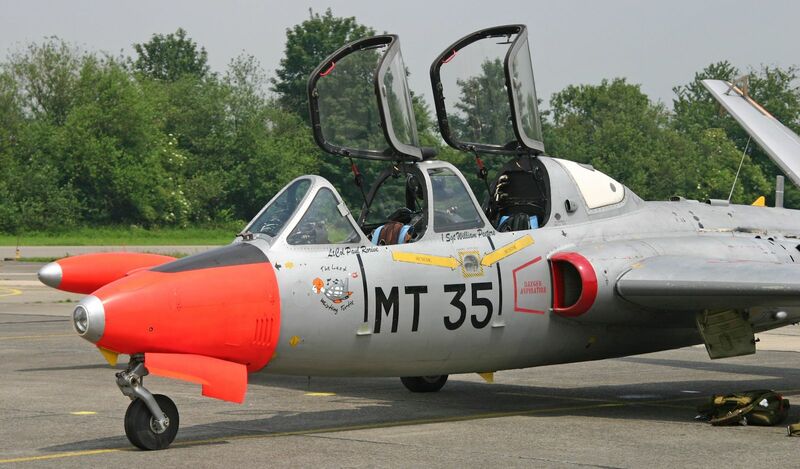 The Fouga Magister is probably one of the most elegant jet trainers ever designed. 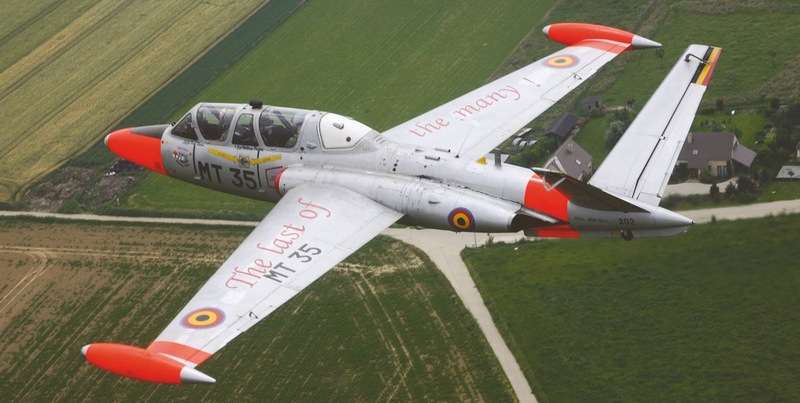 It’s a small aircraft with two tiny jet engines, wide wings and the very typical V-shaped tail. 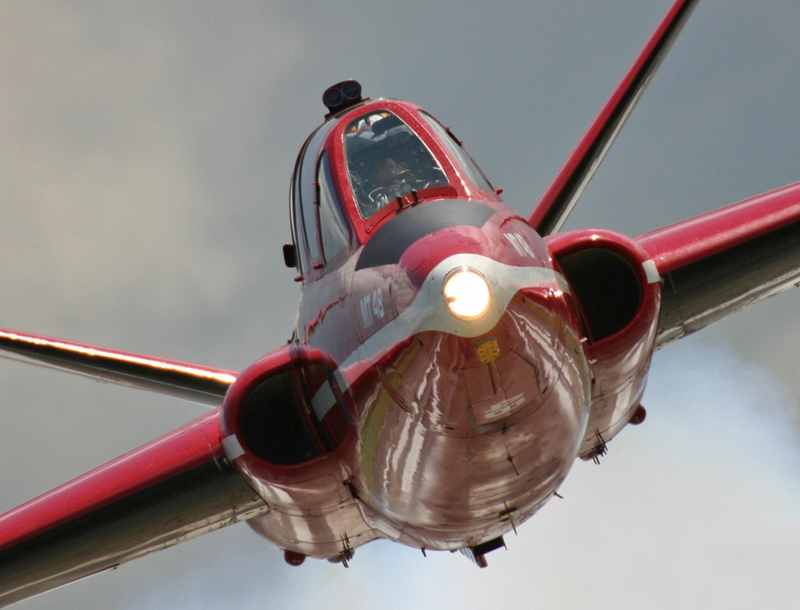 And even though it is small, it gives a pretty impressive show when flown by an experienced pilot. 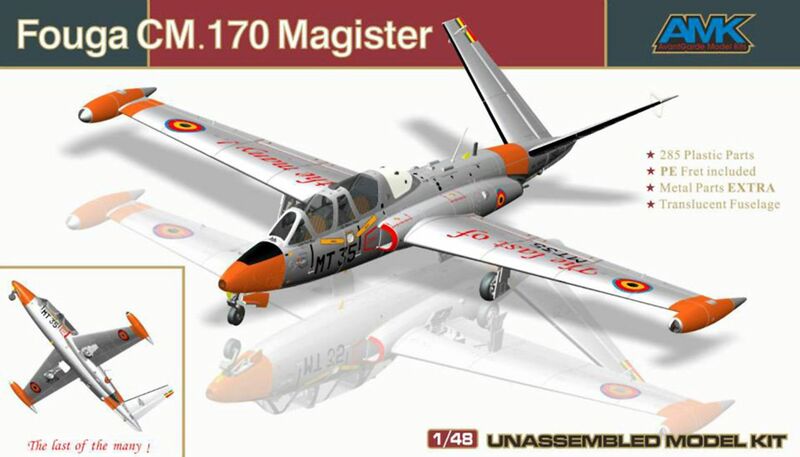 Only months after Kinetic released a 1/48 scale Fouga Magister, here’s AvantGarde Model Kits with a completely new version of this sleek trainer. 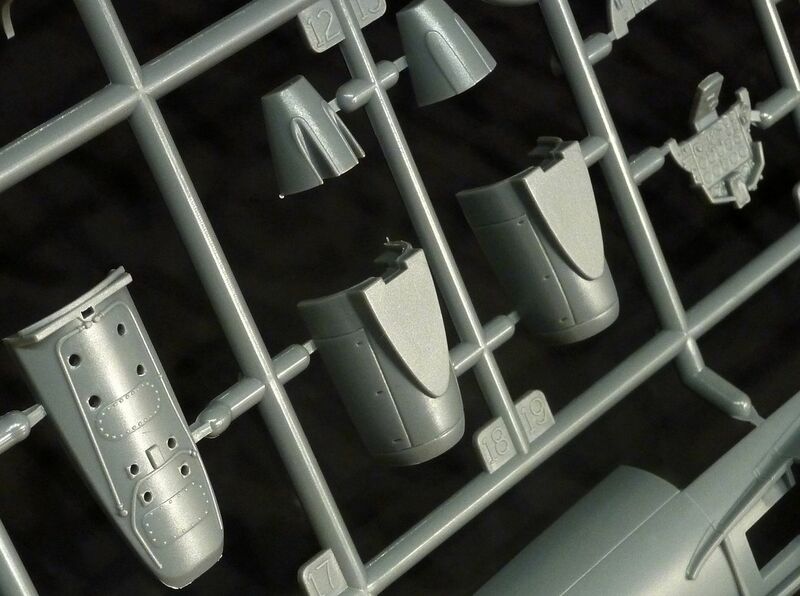 Let me start in a rather a-typical way by giving you my conclusion about this kit: it is an extremely detailed model. 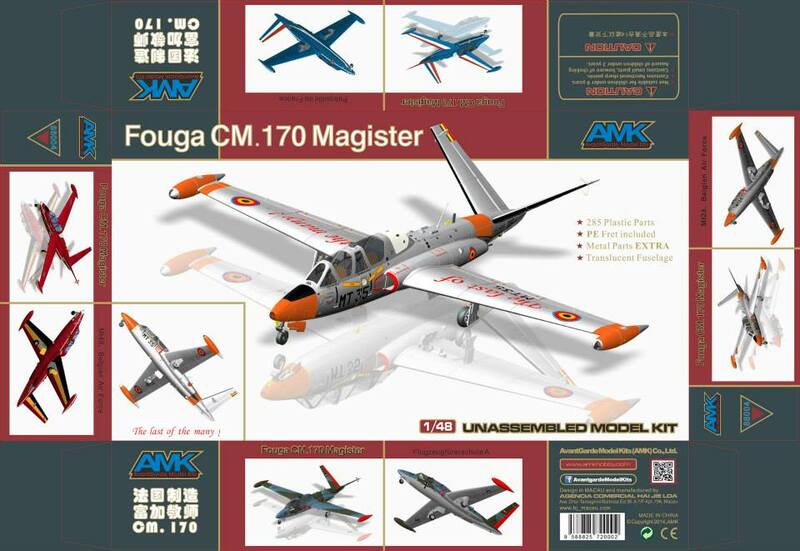 It isn’t an “I’m-gonna-build-a-Fouga-over-the-weekend” kind of model, but in the hands of a modeller with a couple kits under his belt, this AMK release on first impressions looks like a gem when you first set eyes on it. 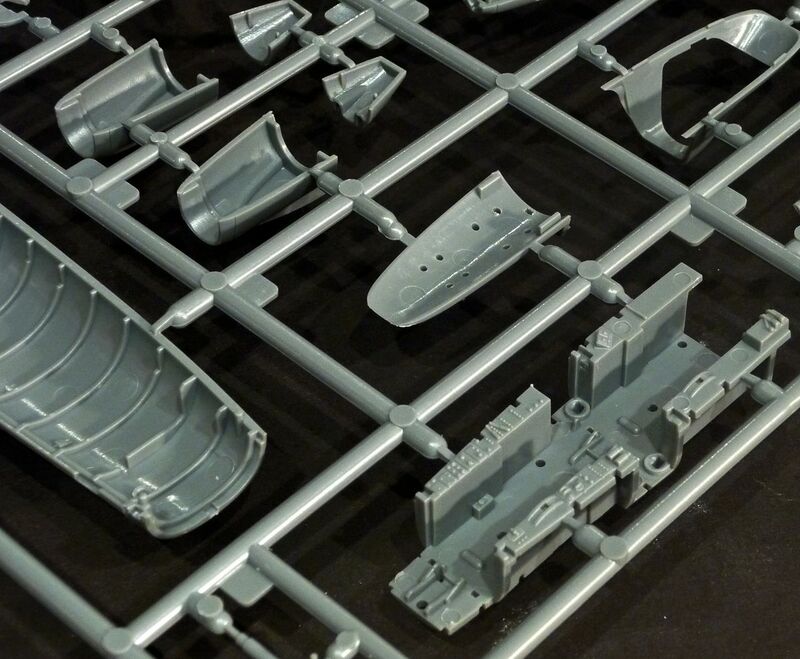 It has a full interior structure, some of the most impressive injection moulded details I’ve ever seen and from the looks of it, seems to be very accurate. 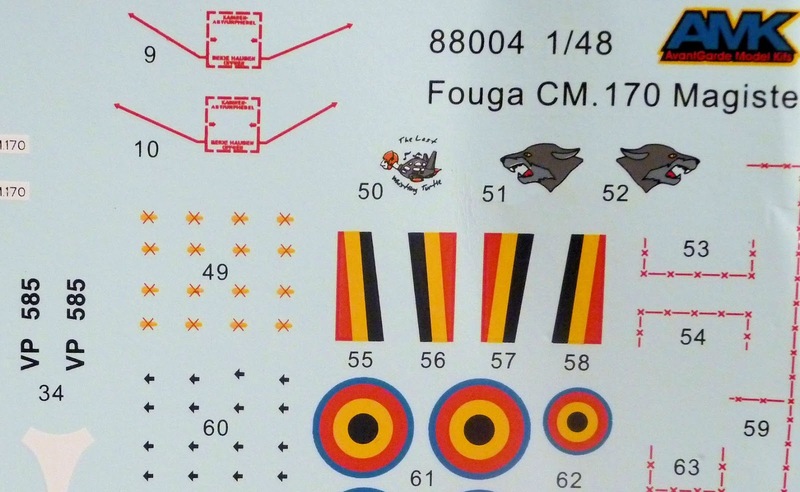 The kit has a lot of parts: over 350 parts in all, which for such a small aircraft it’s a very high count. 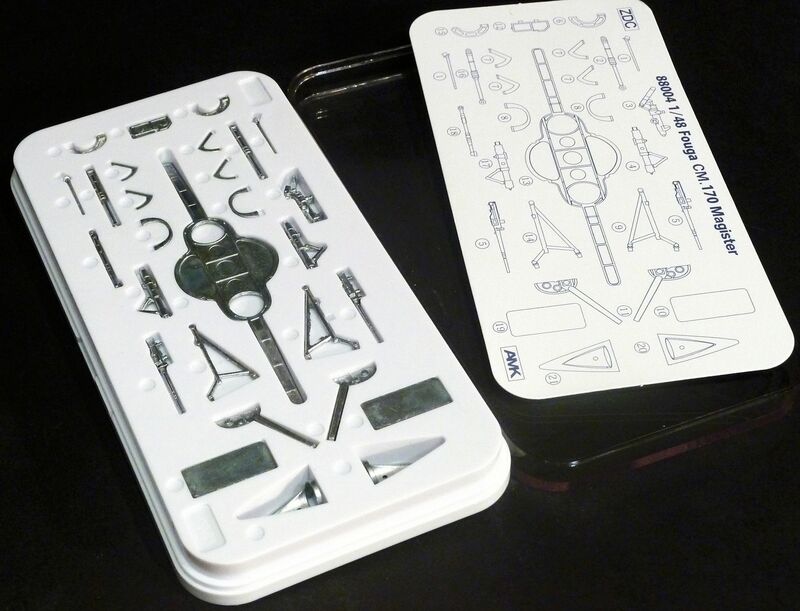 This is because the entire internal structure can be made and displayed open if you like in a “dissection-like” manner. 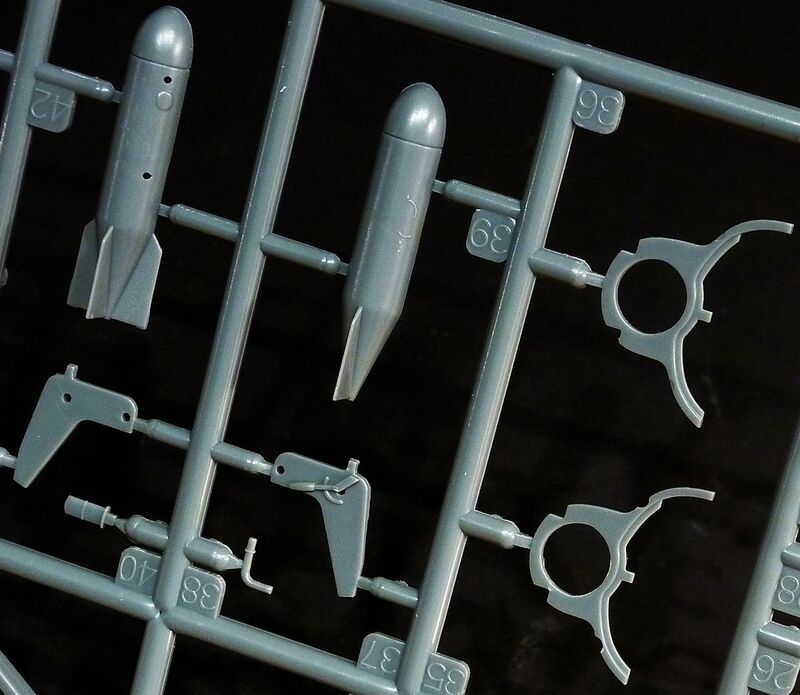 For those modellers that want to show off the internal parts, the kit comes with a clear fuselage, next to the regular one. 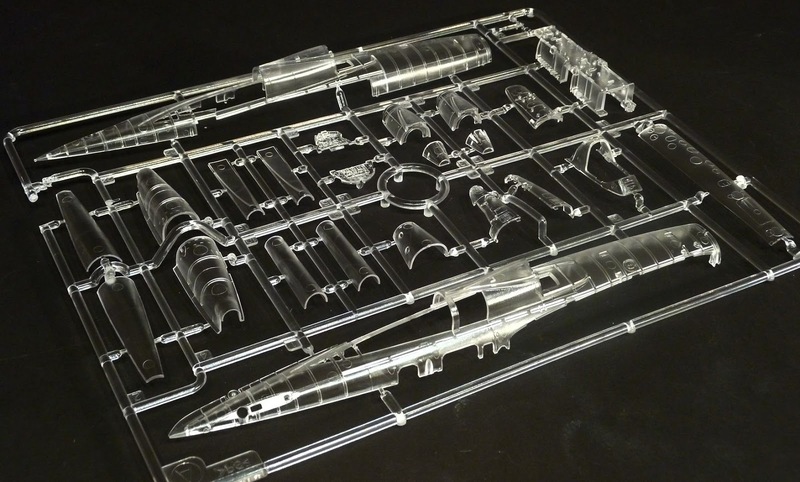 The kit comes with an entire (extra) sprue of clear parts. 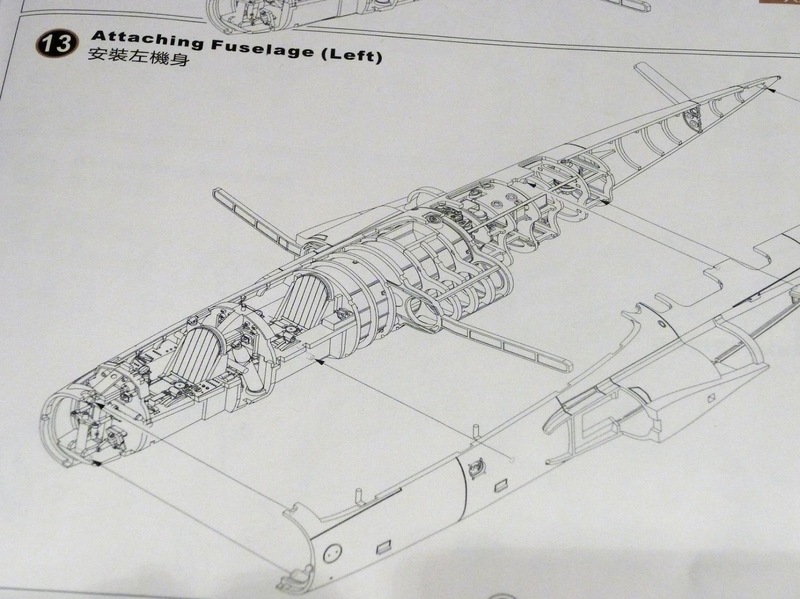 It contains the fuselage, cockpit, air intakes, exhausts, etc which enables the inside out look if you want to make it like that. The level of detail is stunning. Look at the fuselage end with the tail wheel and raised rivets. 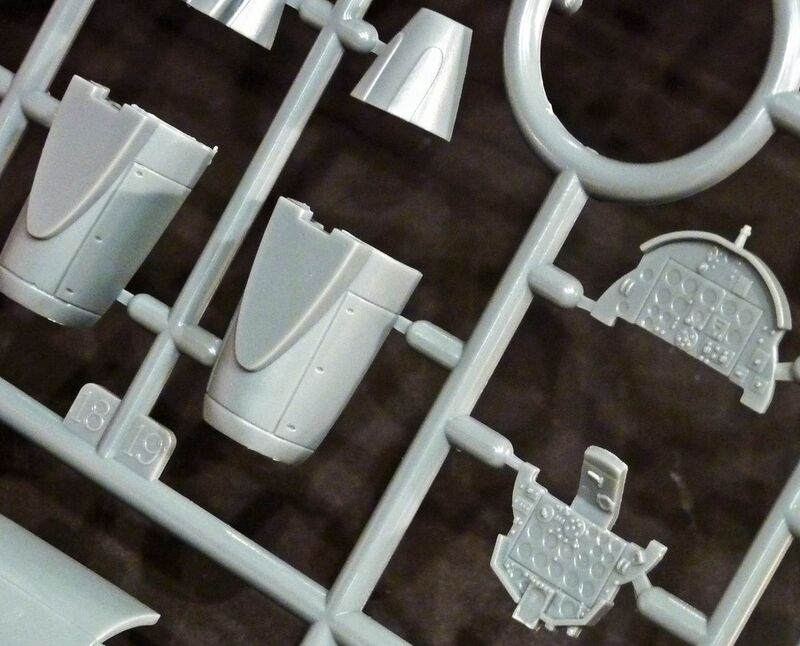 The cockpit of this kit needs little or no extra detail as the tub is well detailed, as are the side panels. 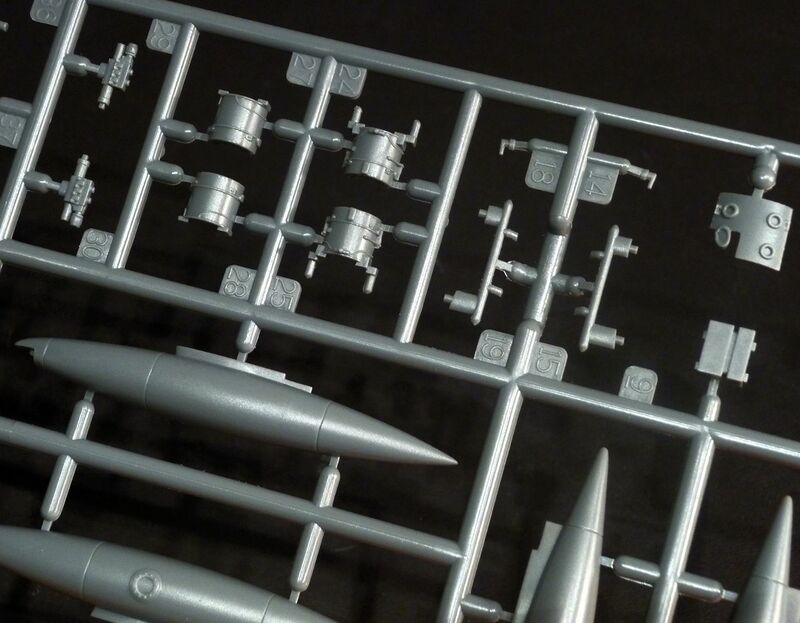 Pretty much like Zoukei-Mura kits, the entire structure is provided in this kit: the primary gas tank, the secondary gas tank, electronic bay, pressure bay, both engines, air intakes, … the whole internal structures seems to be included. IT is hard to tell because we have never seen the whole side of the aircraft open. 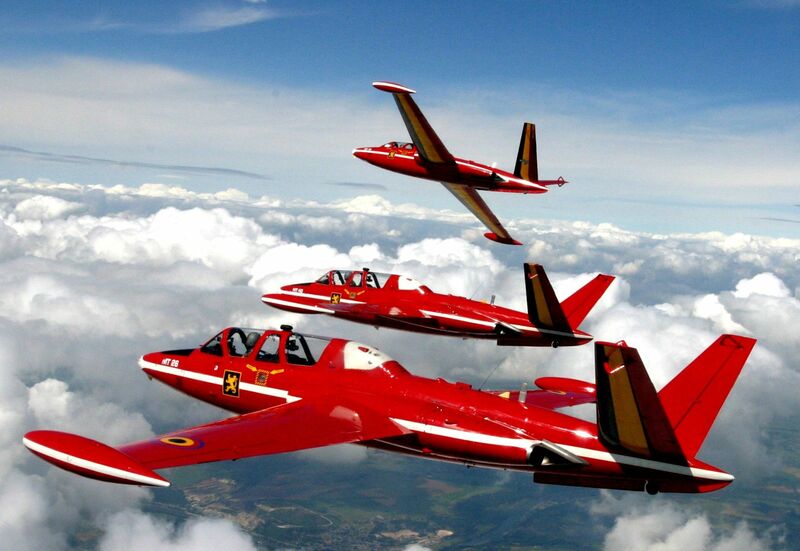 It is a great option to have if you want to display the entire aircraft. 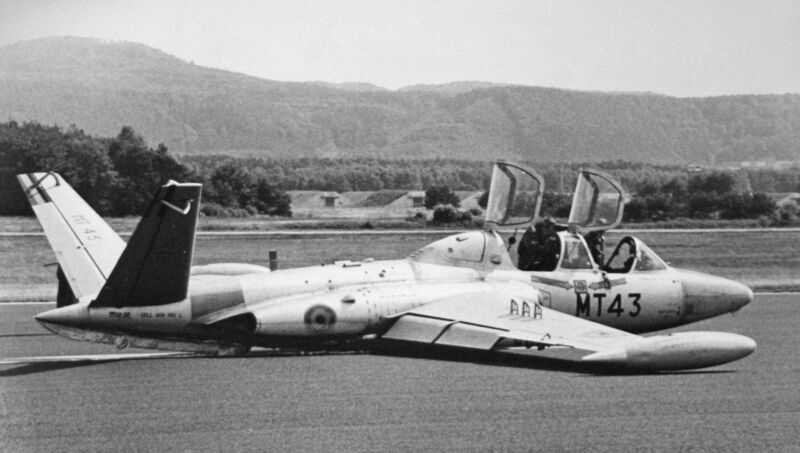 Ideal for any diorama that involves the Fouga Magister… like this Belgian one that made a wheels-up landing. 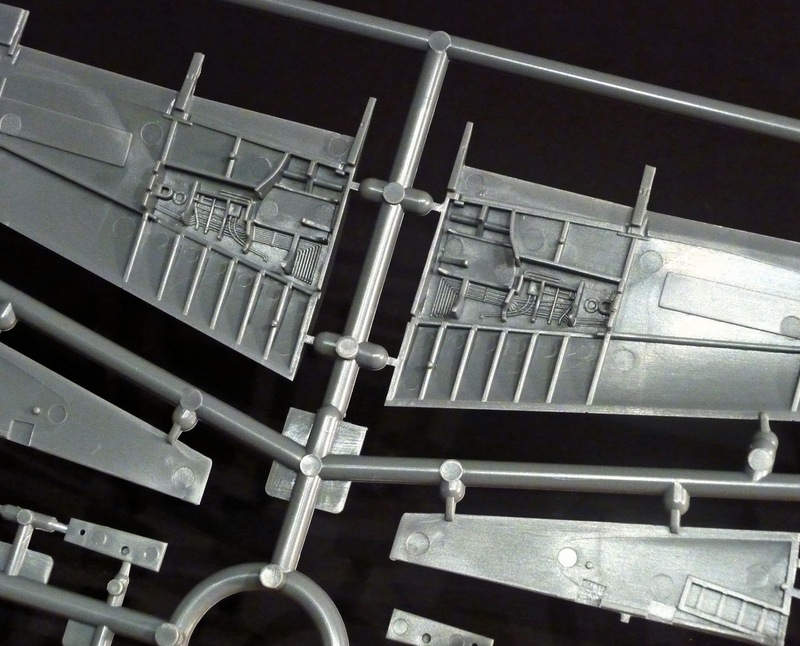 On to the wings: ow yesss… the gear bays are fantastically detailed – you just want to get them painted and see how a wash will bring out all those details. There are some ejection marks in there though so some carving and filling will be needed. 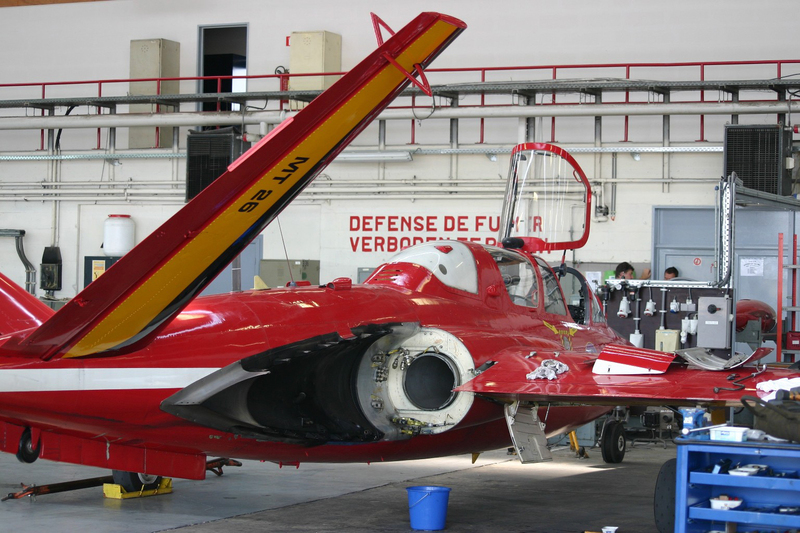 The top side of the wings can be seen in this photo, as well as the V-tail parts. 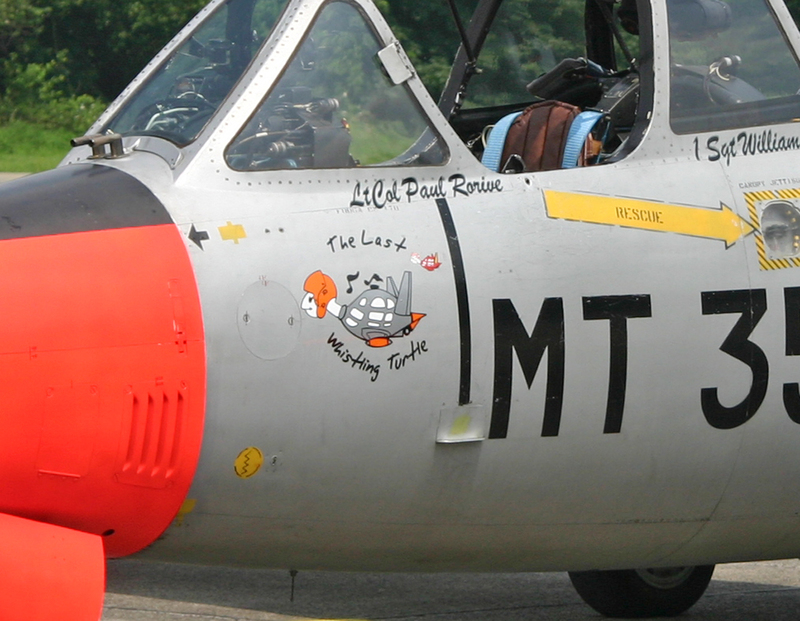 These show lots of rivets, which is odd, because all the photos I’ve seen of the real aircraft don’t show those rivets. 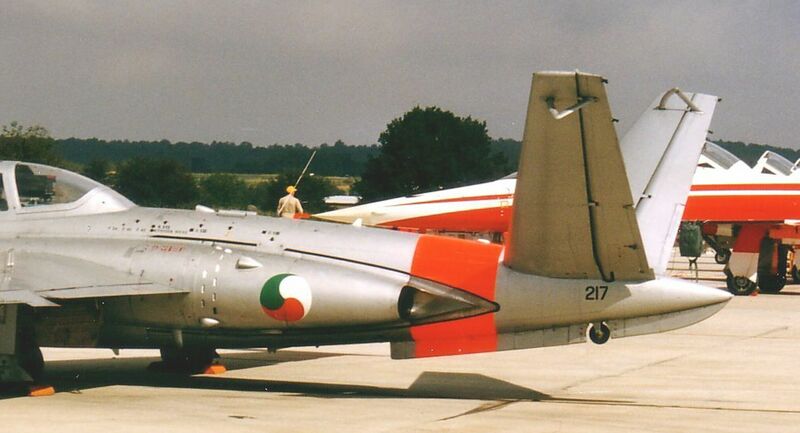 See the V-tail of this Irish Fouga Magister? No rivets. For the kit I’ll build, these rivets will have to go. Just some simple sanding and they will dissapear easily enough.! I wonder why AMK Models got those rivets on the tail. Maybe some models had them? 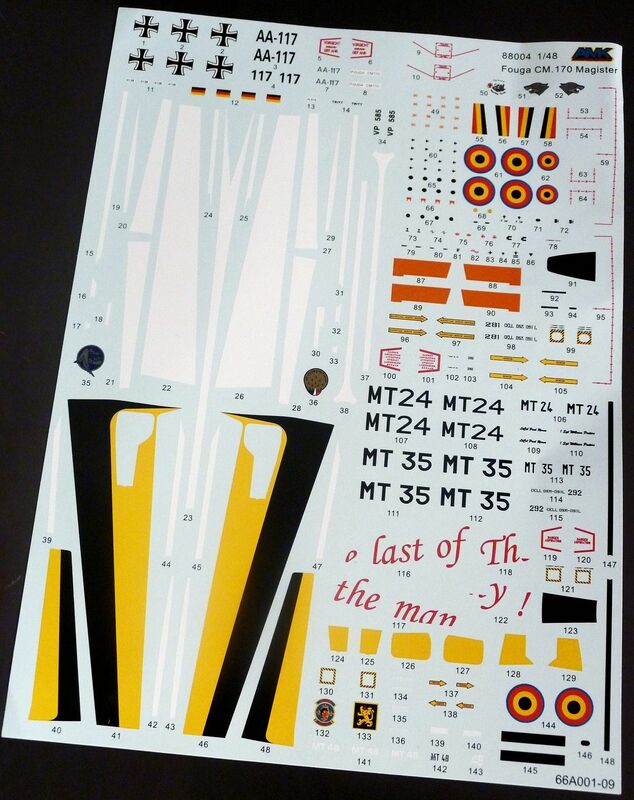 Here’s the wing again – the part below it is one of the four V-tail parts. Lot’s of rivetzzzz. 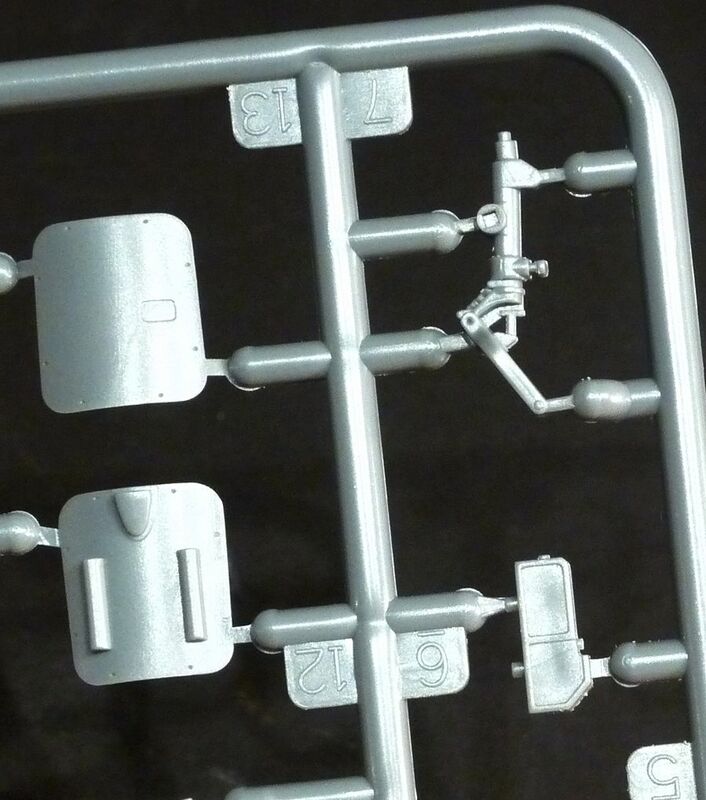 Every little detail is carefully mastered: here is the nose landing gear and the access panel for the electronic bay. 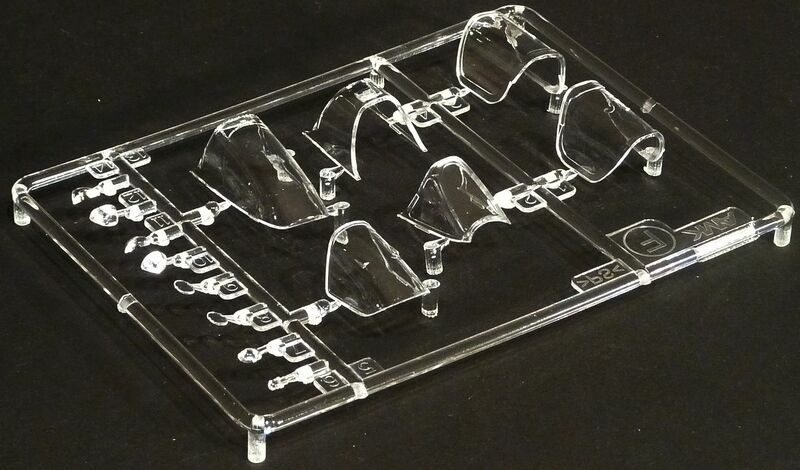 The clear parts are very thin and see through. They need to be handled with care so that the details in the cockpit will be clearly seen. 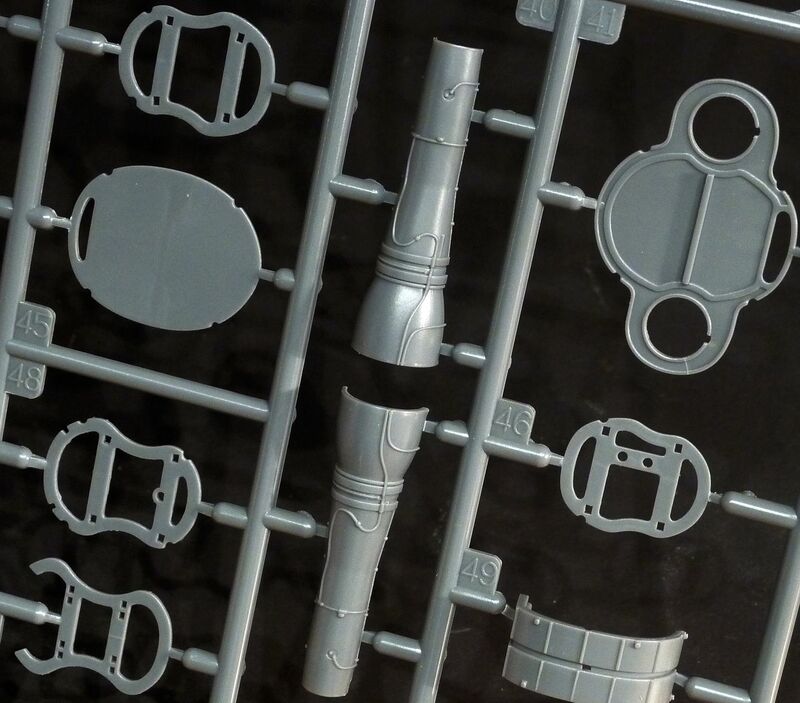 I think that photo-etched parts are always a nice touch in a kit and these look a real plus for the kit. 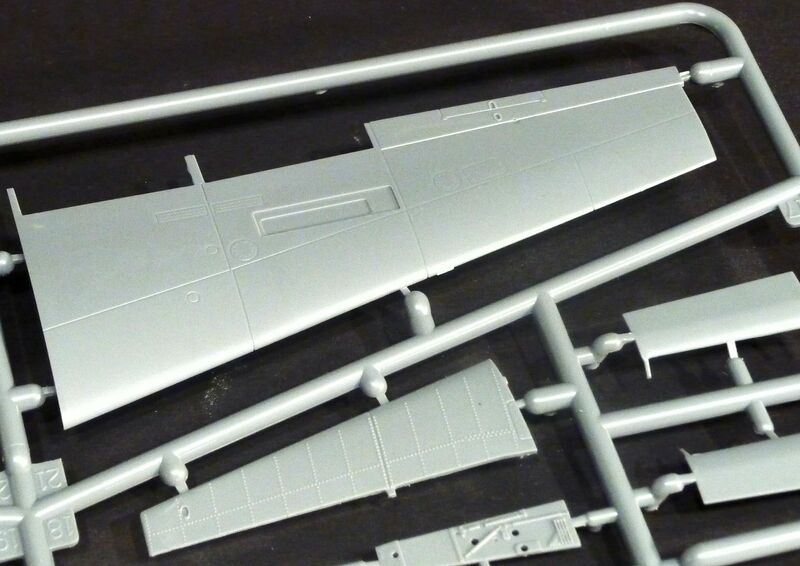 You’ve got hinges for the landing gear doors, the speedbreaks on the wings and some panels. Just make sure that you don’t forget about the seatbelts; even though they aren’t in the instructions. 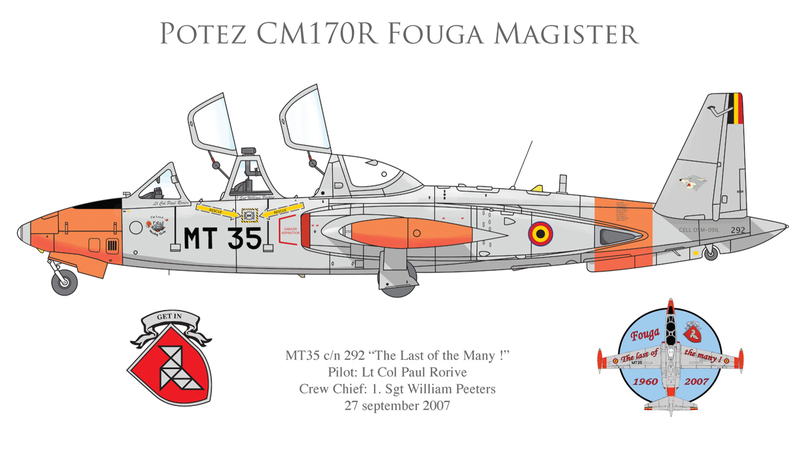 So, there it is: for a new company, this Fouga Magister from AvantGarde Model Kits in 1/48 is darn impressive. 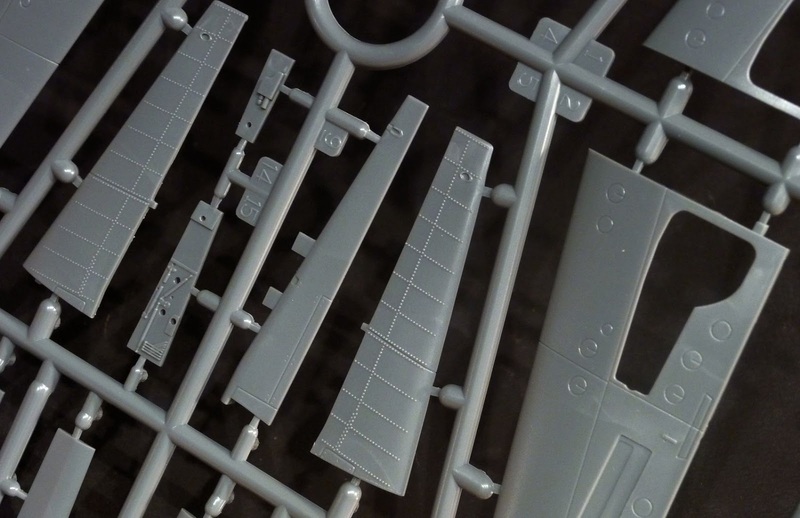 I think that for what you get in the box, the price is more than fair and although it will keep you busy for a while, it will build into a very nice scaled replica of the aircraft. We’ve already started building a couple of them and we’ll make sure to show you how they go together! 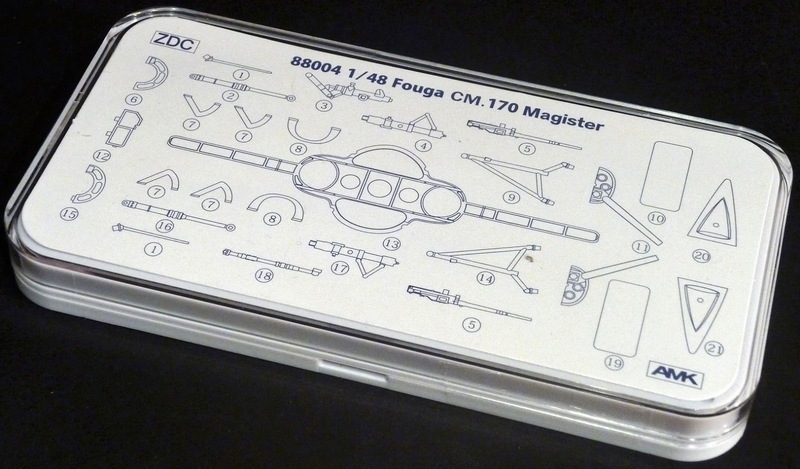 It’s true: this is one for the more experienced modeller, but it sure is one I can recommend. 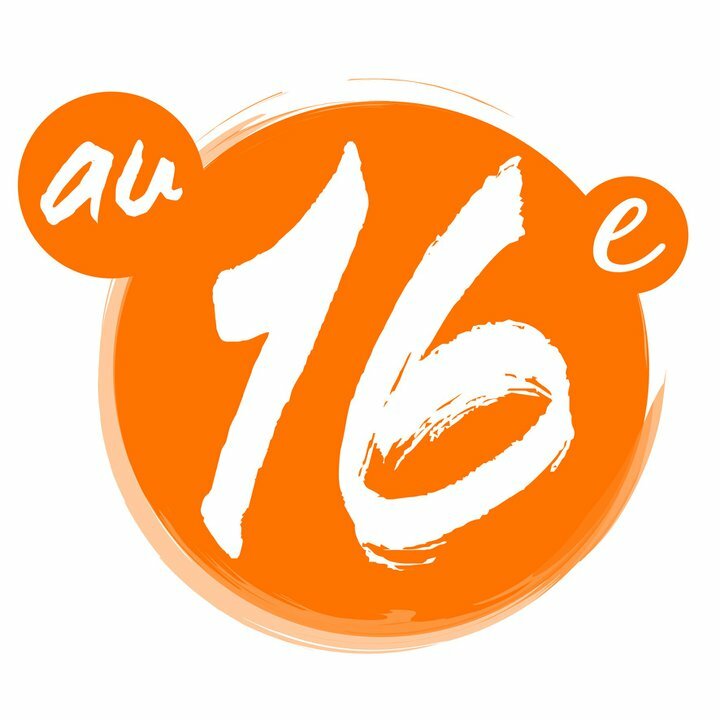 We got our copy from Au 16e Escadron, Belgium’s leading model shop. 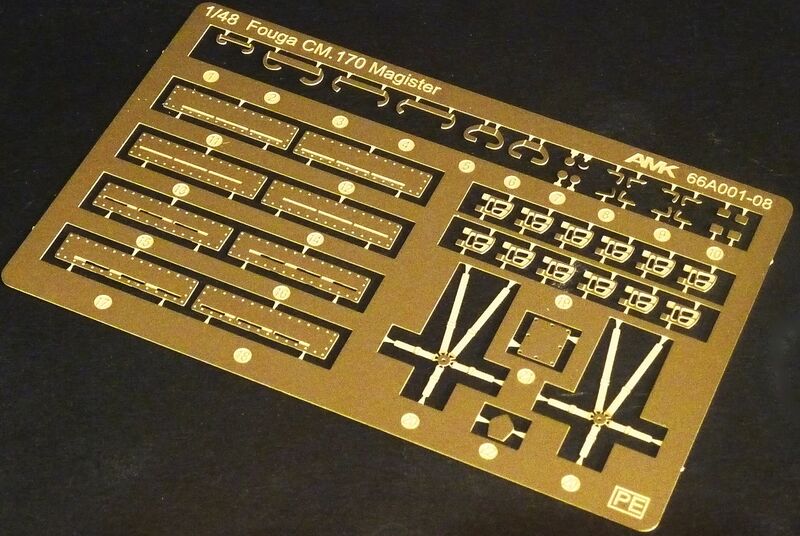 Thanks to Mike of the shop and AvantGarde Model Kits for sending us this kit!